Who remembers Co-op Branch 9 on Bishopton Lane, Stockton? I think Nelson Terrace ran from Dovecot Street to Wellington Street as a continuation of Prince Regent Street. Back to the Co-op, did it become the lighting shop? I remember it from the early 50s onwards. I remember our divi number too – 53287. It was called Furniturama. I worked there for a while in 1971. The photo Shows the North Eastern Hotel on the left and Maxwell’s on the right. This site is now… a car park of course 🙂 shame as it was a distinctive shape and style as well as being quite tall. Yes, I can. 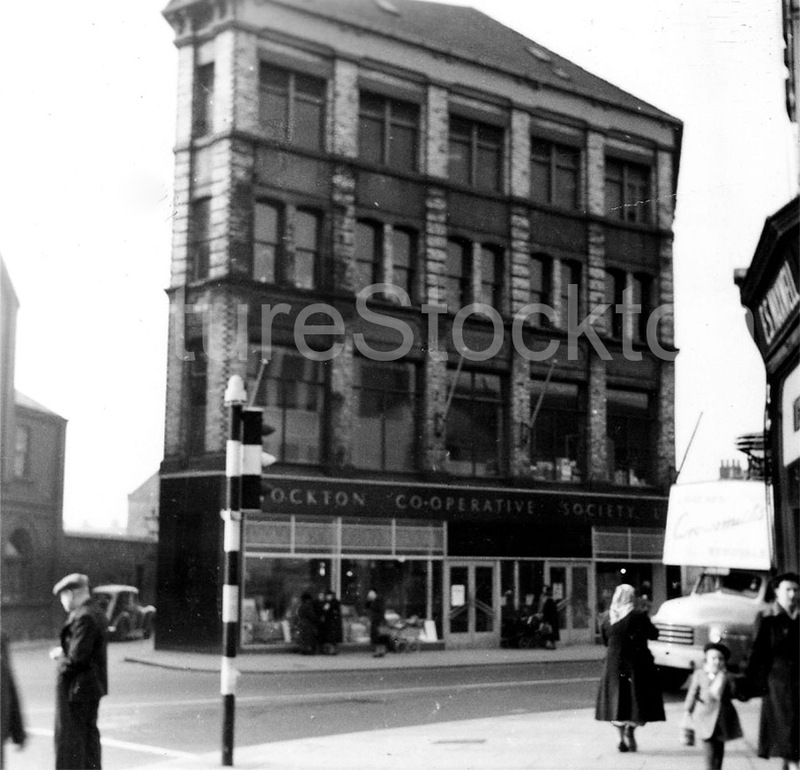 As you passed The Globe cinema and turned left into Bishopton Lane, this large towering building was the Co-op. The little side street where the car is took you through to Nelson Terrace, I think, not sure. To date this image, I lived in Stockton from 1947 until 1963 if that helps. Is the building still there? Roy, The little side street took you through to John Street, Nelson Terrace was more towards Wellington Street.